Other than my Beautiful Butterfly Hairpins, I've been in a bit of a craft funk lately. I'm having a hard time finding the energy to come indoors to sew and craft when I'd rather be outside playing in the garden or just sitting and reading a good book. 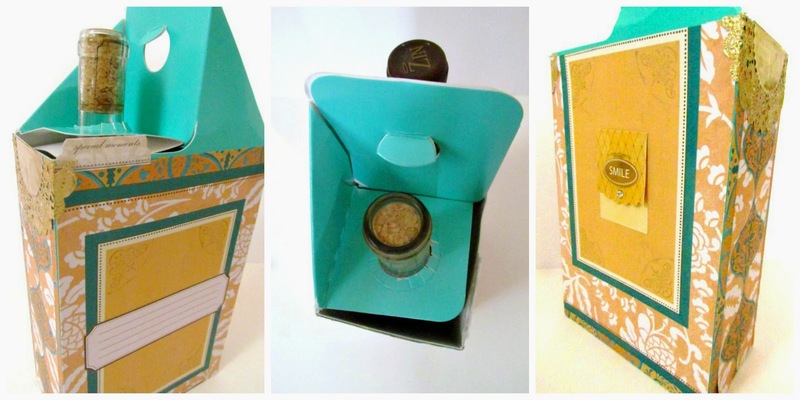 So when I need a little crafty pick-me-up I turn to Mod Podge. It's messy, but it's easy and fun. 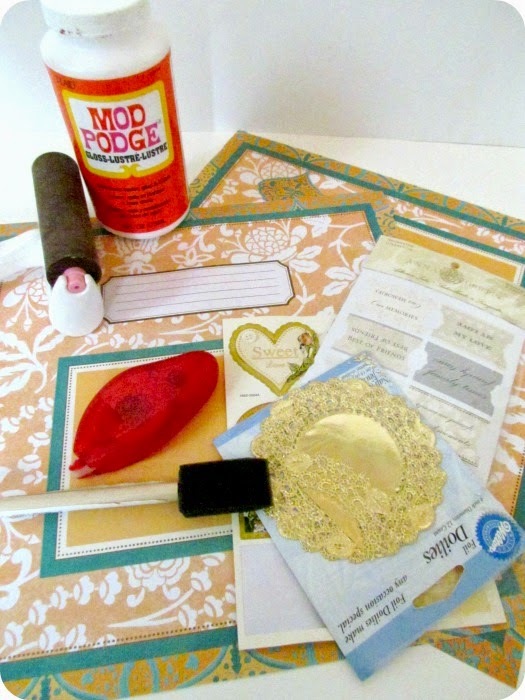 And there's always something laying around the house that could use a little Mod Podge makeover! 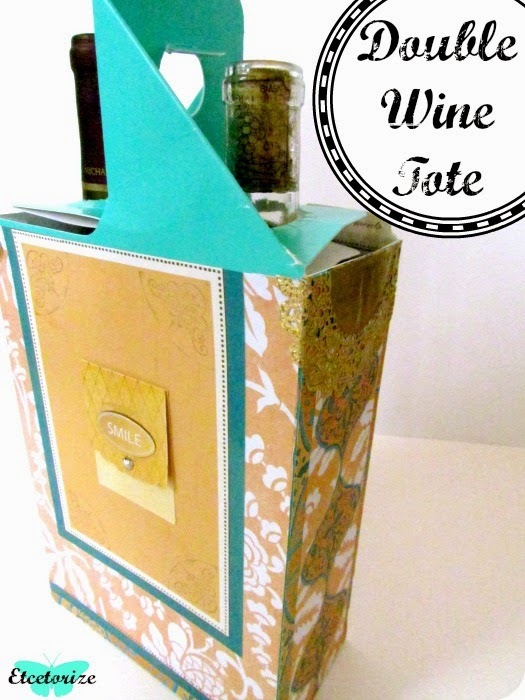 I'm not much of a wine drinker myself, but it's nice to give as a gift...and 2 bottles is even nicer! I know in a lot of other countries this is a funny phenomenon but in North America everything comes in jumbo sizes. 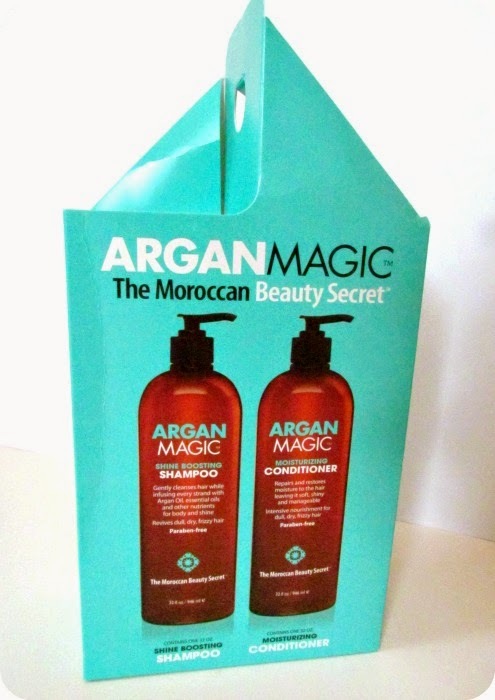 This container held 1 litre bottles of shampoo and conditioner. I couldn't bring myself to throw it out because something kept telling me it might come in handy. 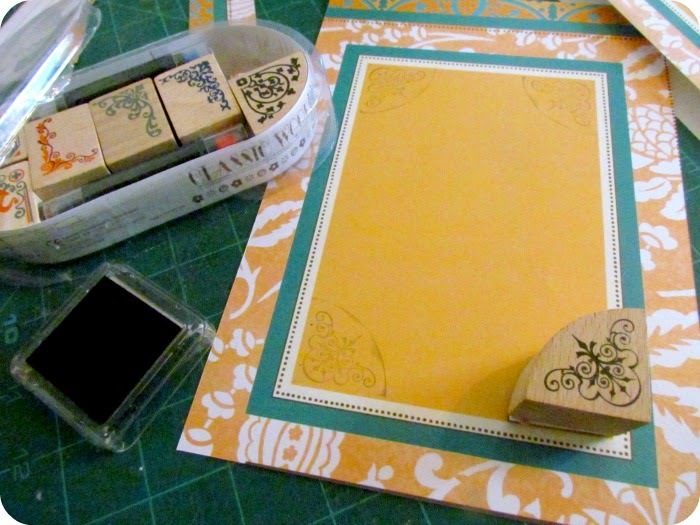 1) Just lay your container right on your paper, trace, and cut out the pieces with scissors or a craft knife. 2) I had some neat paper from a pack that was meant for making a wedding album. I tried to be careful about my cuts, positioning the large squares that were meant to hold photos, so that they'd be centered on the box. Before I glued all of my cut pieces on I got out my new little stamping set from Wholeport and did a bit of embellishing. I pressed extra hard to get the arced edging. If you press lighter you just get the corner flourish design. This set is pretty cool. You get 7 wooden stamps plus 2 double ended stamping pens. 3) Once all of your paper pieces are cut and ready to go, just slop on that Mod Podge nice and thick and lay your paper down. 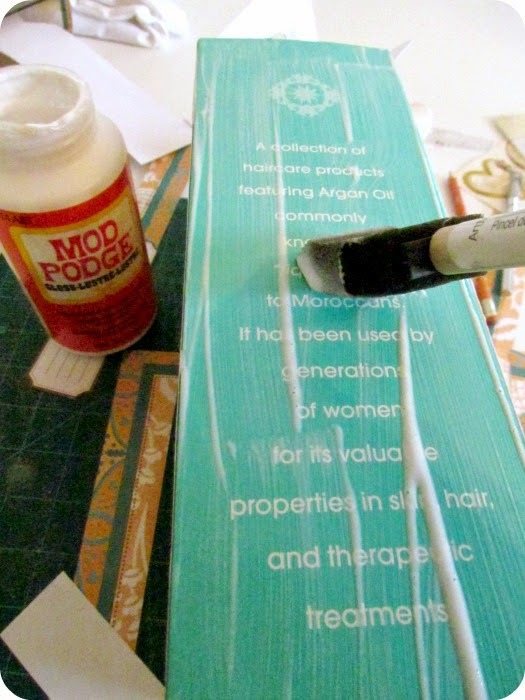 Mod Podge can dry quickly on a large surface like this so don't be skimpy. 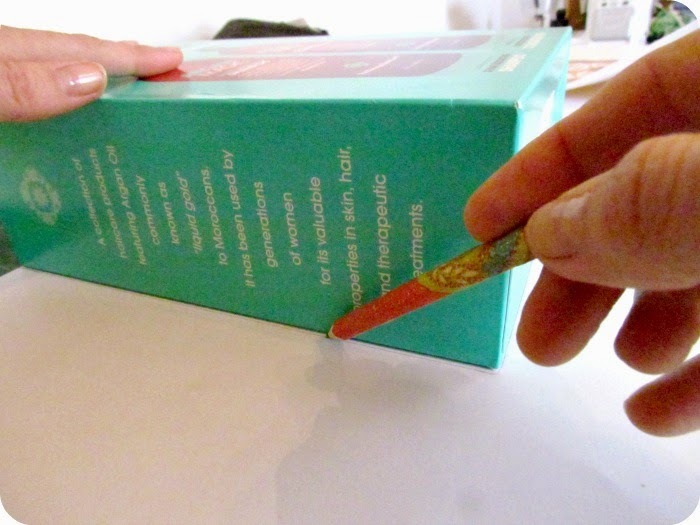 The extra glue will let you move your paper around a bit to position it too. 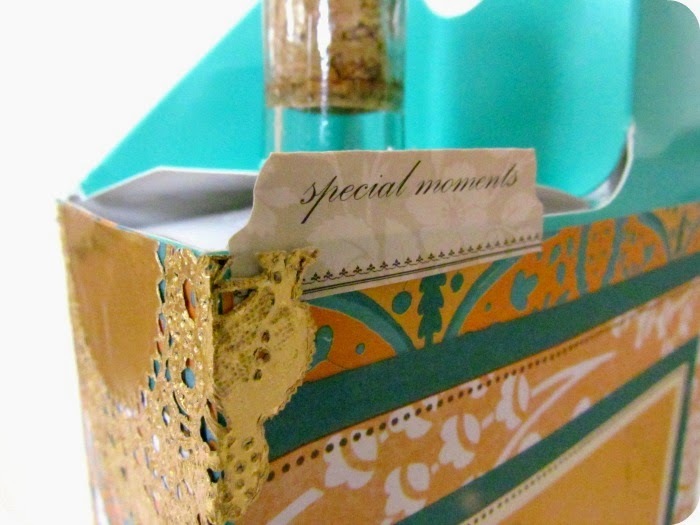 4) Once your box is covered with paper you can add as many embellishments as you want. You'll notice that I didn't bother with the top piece. It seemed like it would get too fidgety, so I took the easy route and just found matching paper instead. once I figure out who the lucky friend is that will get this. You know what?!?! It worked. I had a bit fun getting messy and felt like I finally accomplished something in the craft room. Now I'm ready to get back at it and the ideas are starting to return to my little head.